If the term "shapeshifting" got you intrigued, then you are not the only one because it is the first time we have heard this term being used to describe a television set as well! Apparently, the 75-inch TV which Samsung just unveiled at the CES in Las Vegas has a micro-LED panel and that's why it is called a "shapeshifting TV." 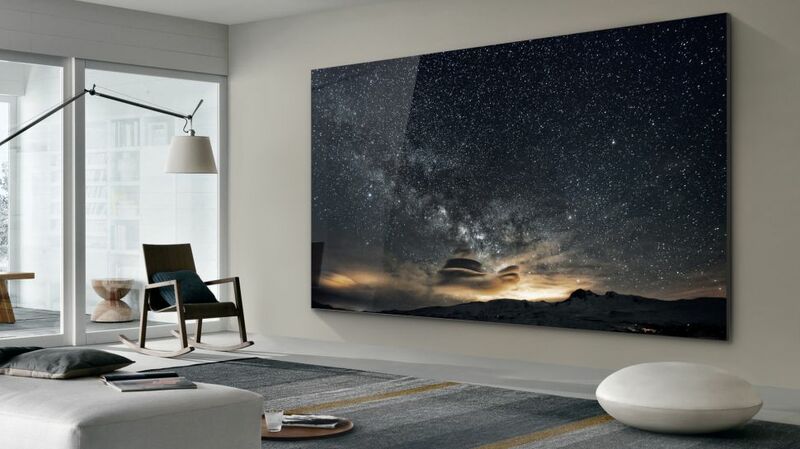 According to what little was made available for the public ear, the micro-LED technology will allow the television set to change in-between a square display format, to a widescreen video strip, according to the need of the hour. President of Samsung Display, Jonghee Han stated, "This screen is customizable and can be placed anywhere in the home." While we would have loved to have given you more detailed information regarding what it actually means and how well Samsung has implemented the technology, this is all we have for now. But stay tuned to YouMobile for more interesting updates as the CES 2019 progresses further.